You might really feel bad when you are enjoying a family vacation at the fullest, and your loved ones wake up badly wheezing in the middle of their sleep. It will turn worse if you realize that you are not familiar with any nearby pharmacy that remains open or delivers for 24 hours in Dubai. Therefore, to avoid such emergency situations, it is very necessary for you to be acquainted with some 24-hours pharmacies in Dubai, if you are going to spend some good time on your trip. First of all you need to be very discreet in understanding the fact that, in Dubai you may not get any medicine without a prescription. Moreover, you should avoid carrying any type of medication with you, as this may get you into a serious problem. Because it is possible that this particular medication is permissible in your home country, but fall within the drug category in Dubai and thus considered to be illegal. The emirate upholds zero tolerance regulations and laws against the sell-purchase and consumption of any type of drugs. For more information, you can read 10 things not to do in Dubai. To give an insight of 24 hours pharmacy in Dubai, here mentioned are the six foremost pharmacies of Dubai that operates 24/7 located in different metropolitan areas. Super Care Pharmacy is one of the leading chemist in the town. This pharmacy maintains an extensive variety of medicines and operates for 24 hours in Dubai. 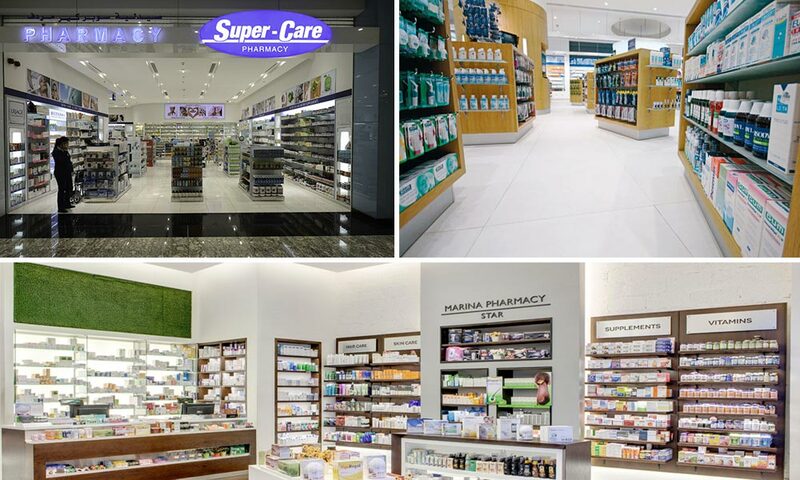 There are three major branches of Super Care Pharmacy in Dubai that remains open and delivers to 24 hours. One branch is located in Safa Centre located near the Park n Shop on Al Wasl Road. Another branch is situated in the Magrudy’s Shopping Centre on Jumeirah Beach Road. The third branch of Super Care Pharmacy is situated in Nashwan Building on Al Makhool Road – Bur Dubai. Bait Al Shifa Pharmacy offers a great assortment of medicines, medical equipment and rehabilitative devices. There are two branches of Bait Al Shifa Pharmacy that are located in highly reachable locations of the city. The first branch of Bait Al Shifa Pharmacy is located at Lulu Hypermarket on Amman Road near Bait Al Khair Society overdue the Shara Center – Al Qusais. The second branch of Bait Al Shifa is situated at Abu hail Road opposite the Abu Hail Centre near Hor Al Anz –Deira. Cedars Jebel Ali Pharmacy also offers a wide range of medicinal drugs, rehabilitative equipment and medical devices in Dubai. The pharmacy offers emergency services and 24 hours home delivery too. Cedars Jebel Ali Pharmacy is sited inside the Jebel Ali International Hospital – Jebel Ali. The hospital also offers 24 hours emergency services in Dubai for locals & tourists. Elixir Pharmacy is also a 24 hours pharmacy in Dubai that delivers. Elixir pharmacy maintains a considerable stock of medicines. It is located next to the Emarat Petrol Station near French Bakery on Sheikh Zayed Road. The pharmacy remains open 24 hours, however, it does not offer home delivery. Marina Center Pharmacy has a vast range of medicines and remains open for 24 hours in Dubai. The pharmacy is located in DIFC Jumeirah. Marina Mirdif Pharmacy is located inside the Spinneys’ Community Center Mirdif – Mirdif and serves 24/7 in Dubai. These are some of shops that offer 24 hours pharmacy service in Dubai that you can rely on. If you want to recommend a pharmacy shop that operates 24/7 in Dubai, please do so by adding comments below.